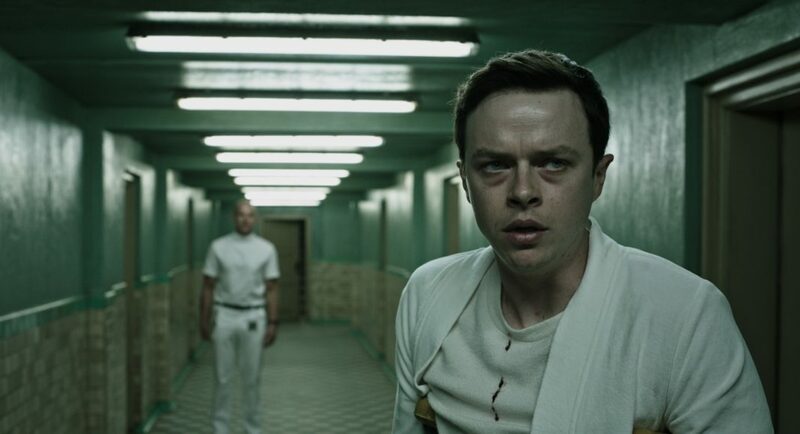 A Cure For Wellness Movie Review - Are You Screening? 2016 Twentieth Century Fox Film Corporation. All Rights Reserved. Gore Verbinski‘s list of directing credits is one that’s varied and surprising, but as the Pirates of the Caribbean films become less and less interesting and after the crash that was The Lone Ranger, he needed a win. That’s often a position that leads directors to overreach, and when you couple that with delusions about the depth and complexity of your script (by the same writer who also helped give us The Lone Ranger), you’re almost guaranteed a movie that buries any positives beneath piles of grandiose fluff. The film at least kicks off letting you know exactly where you are as Dane DeHaan‘s character, Lockhart, is confronted by the members of the board of the investment firm he works for. It’s hard to tell exactly what direction things are meant to go at first, but the zombified, automaton board members are certainly setting some stage or other. Lockhart shoots over to the Swiss Alps, furiously working while on the train, all the while looking like nothing more than a person who has absolutely never had a suit on before, and he is in search of the CEO of his firm, who has sent a letter from a “wellness spa” indicating he isn’t coming back. That’s problematic for the company for many reasons, but the main one is that the firm is going to be investigated by the government for some “irregularities,” and the board members need a scapegoat. Following a slate of maneuvers that are not exactly surprising, Lockhart soon discovers that something odd is happening at the spa where guests never seem to leave. Dr. Volmer (Jason Isaacs), runs the spa which has as its main focus the wonderous water found on the premises. Despite the cheery reassurances of the good doctor’s lazy accent, this is a spa that no visitor in their right mind would try his luck going up against, and it is one that is oddly prepared for visitors considering it’s hard to imagine that it has ever had one before. Initially put off with excuses of his boss’ treatments and general condition, Lockhart is in a car accident when trying to head back to the airport. This results in a broken leg, and now Lockhart isn’t in top shape to figure out what’s going on, and is obviously somewhat at the mercy of the spa staff. Now trapped, Lockhart resigns himself to see what he can see via several scenes that are something of an homage to Rear Window. This, coupled with the plethora of tired plot moves, lead the film into the realm of the oft-quoted, but difficult to attribute, “where it is good, it isn’t original, and where it’s original, it isn’t good.” There are moments that the movie manages to get you to play along, largely because things become very familiar. Lockhart finds a few confidantes among the residents of the spa, and a young girl to become the focus of his “need to rescue,” but these eventually lead us down a rabbit hole of the nonsensical, and worse, boring. The film becomes a self-destructive force that can’t keep itself sailing in one direction, and it’s mostly a result of pretension run wild and an inability to, somewhat ironically, construct a sense of tone. Despite whipping out events, scenes, and characters that are hard to describe as anything but silly, the film clearly believes that it is weaving a thematic yarn on par with Pan’s Labyrinth, or The Seventh Seal. The young girl, Hannah (who is well-played by Mia Goth), dances, and the notes on life and the human condition may as well swirl out of her dress and onto the screen. Lockhart is plagued by a toilet, which builds to a final scene that goes nowhere and does nothing, but probably seemed like a good idea when it was only words on a page. Cultists in cloaks carry candles in a cave, because Gore saw a painting once, or the warehouse had a pile of cloaks in it, or someone likes alliteration, and one reason is as good as the other. All of that bounces around with plot steps that are laughable, “tense” scenes that all but demand sarcastic retort, and a finale that has as much chance of creating laughter as fear, chiefly because it’s hard to avoid hearing, “and I would have gotten away with it too!” It’s a film that seems to have been created with the Mystery Science Theater 3000 crew on hand to give direction in order to set up their jokes. In the end, A Cure for Wellness is unfortunately slow, because it gives you time to think about the fact that we’re witnessing part of the life story of the world’s most boring villain. Taking even a brief moment to imagine the tedium involved in this guy’s day-to-day is enough to make you think that perhaps he is in as much need of being put out of his misery as anyone, including you. Mr. Mercedes is a certain sort of triumph, but it isn't going to be for everyone. It's a great character study, and you'll wish you could binge it, but you'll also want to fast-forward.